Crossbone Vanguard has the honor of being the first player group made specifically for the PlayStation 4. We are welcoming a whole new generation of pilots to come fly with us and experience a universe in the making! We have veteran pilots who are eager to help new recruits learn the game and become Elite. We are a friendly, mature community who are excited to add new friends to our ranks! As a new player group in the Elite Dangerous universe, our members offer a fresh perspective and desire to explore, trade, and fight that will be rivaled by no other! We don't believe in restricting the style of our members, so we do a little bit of everything! 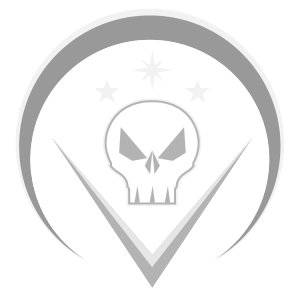 Crossbone Vanguard dabbles in Exploration, Combat, Trading, Mining and MUCH more! We have members dedicated to these trades who are willing to help you learn and become the best at what you do; who knows, maybe one day you will teach our new recruits! We offer lessons to help you avoid being blacklisted by players or clans, which sadly some new players may learn too late. We also help new players learn combat in a friendly environment where they don't need to fear criticism from their peers. We also support those who wish to fly alone, offering combat assistance in pvp and fuel when stranded. To join please follow these two mandatory steps..
Because we are based on the PS4 we have a few ways you can get to know our group. Like our emblems, logos and banners? Contact Mat2596 to purchase your own!